Disney Online, part of the Disney Interactive Media Group, today introduced DisneyXD.com, the online and mobile Web destination for the new Disney entertainment brand designed to appeal to kids and teen boys. An abundance of action-based games, full-length video and customizable community features populate the site focused heavily on themes of adventure, accomplishment, gaming, music and sports. Games Driven Environment: DisneyXD.com features a vast selection of action, adventure and sports themed game, which are a mixture of those branded upon Disney XD properties (such as Aaron Stone, Phineas and Ferb and Kid Vs. Kat) and popular licensed games boys like to play. Rich Video Content: Full-length episodes of Disney XD live-action and animated series, music- and sports-themed shows are available online all day, every day. DisneyXD.com also features exclusive online-only videos. Custom 3D Avatars: Guests can create a unique avatar representation of themselves – complete with animated poses. Points earned by playing games and completing special adventures allow Guests to receive exclusive collectible items (some with TV-branded themes) to transform themselves. Active Community: Each week, the DisneyXD.com hosted community will feature Guests who have completed online challenges or who have achieved high scores on game leaderboards. Players can also chat with their friends and explore player profiles that display high scores, trophies and rank. Multi-Platform Access: Fans can take Disney XD with them anywhere by texting XD to DISNEY (347639) and get first look access to games, videos and more – including one-of-a-kind wallpapers and ringtones. The dynamic gaming content on DisneyXD.com is the latest addition to Disney Online’s growing portfolio of casual game offerings, which include a unique mixture of original content and licensed games, designed for kids, tweens and their parents. The constantly evolving and relevant portfolio of high-quality, compelling casual games allow fans to more deeply engage and interact with their favorite Disney characters and shows. According to a recent analysis by ComScore, Inc., Disney Games ranked third among online gaming destination with 13.4 million visitors in December 2008, and had a reported traffic increase of 13 percent from the previous year. According to the data, online gaming usage in the U.S. grew 27 percent over the past year to 86 million visitors in December 2008. Moreover, the total time spent playing online games increased by 42 percent. The simultaneous rollout of the Disney XD channel on Feb. 13 will include a cross-platform on-air, online and mobile broadcast of the new original series, “Aaron Stone,” and will feature a special online challenge where players can earn points to unlock the “Aaron Stone” battle suit for their avatar’s wardrobe. More information and details can be found online at www.DisneyXD.com. 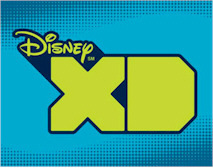 Disney XD, launching Friday, February 13, is a basic cable channel and multi-platform brand that will showcase live-action and animated programming for kids age 6-14, hyper-targeting boys and their quest for discovery, accomplishment, sports, adventure and humor. Disney XD branded content will span television, online, mobile and VOD platforms. The programming includes series, movies and short-form, as well as sports-themed programming developed with ESPN. In the U.S., Disney XD will premiere on a 24-hour, advertiser supported network (currently known as Toon Disney) that reaches over 72 million households via its basic cable affiliates. Disney Online, a unit of Disney Interactive Media Group, produces the No. 1 ranked kids’ entertainment and family community destination on the World Wide Web. Launched in 1996, Disney.com is the online gateway to all of the company’s Disney-branded entertainment initiatives, providing comprehensive access to, and information about Disney movies, travel, television, games, mobile, music, shopping and live events.